The Boston Red Sox today purchased the contract of right-handed pitcher Hector Velazquez from the Piratas de Campeche of the Mexican League. The deal is pending a physical. Velazquez, 28, most recently pitched for the Mayos de Navojoa in the Mexican Pacific Winter League. In 14 appearances with the club, all starts, he was 9-3 with a 2.32 ERA (22 ER/85.1 IP) and 87 strikeouts. He made five scoreless starts of at least 5.0 innings, and in his final four outings from December 9-27, he posted a 1.71 ERA (5 ER/26.1 IP) with 22 strikeouts against two walks. A native of Sonora, Mexico, Velazquez spent the 2016 regular season with Monclova of the Mexican League-while on loan from Campeche-and went 5-1 with a 2.47 ERA (36 ER/131.1 IP), 120 strikeouts, and 16 walks in 22 starts. He allowed four earned runs or fewer in each of his outings, including two earned runs or fewer in 15 of them. On August 6 against the Aguascalientes, the right-hander surrendered only one hit in a 9.0-inning, complete-game shutout, striking out nine batters without issuing a walk. He also gave up zero runs and only one hit in his next outing-his final appearance of the regular season-on August 11 against Reynosa, recording 10 strikeouts and no walks in 7.0 innings. 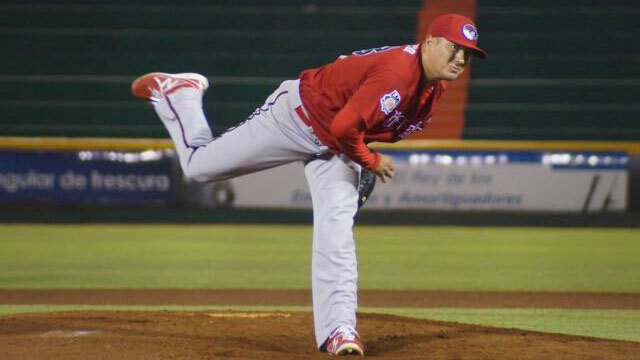 In seven seasons in the Mexican League with Campeche (2010-15) and Monclova (2016), Velazquez went 43-29 with a 3.76 ERA (287 ER/687.1 IP) in 136 appearances (120 starts). He has also pitched in the Mexican Pacific Winter League following each of those seven seasons, posting a 4.07 ERA (189 ER/417.2 IP) in 101 games (75 starts) for Obregon (2010-11) and Navojoa (2012-16).